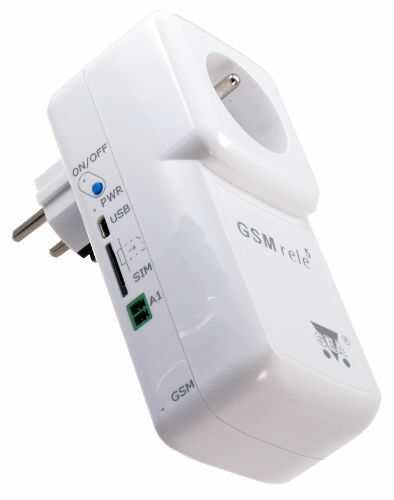 The GSM rele5 ( GSM-R5-ZAS ) device is actually an electrical outlet controlled by a mobile phone via SMS. 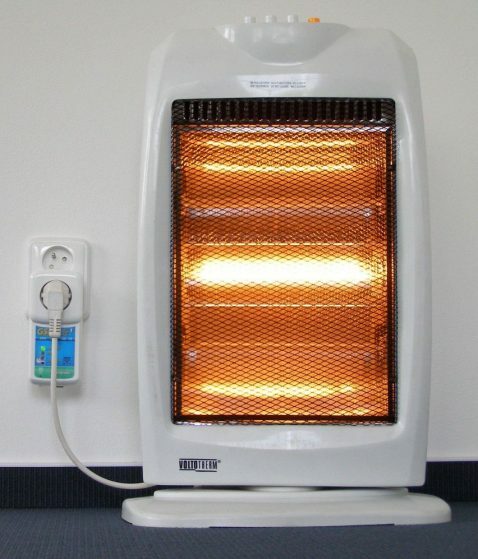 This allows you to switch on and off the conventional electrical appliance 230 V / 50 Hz, 10 A, typically an oil radiator. 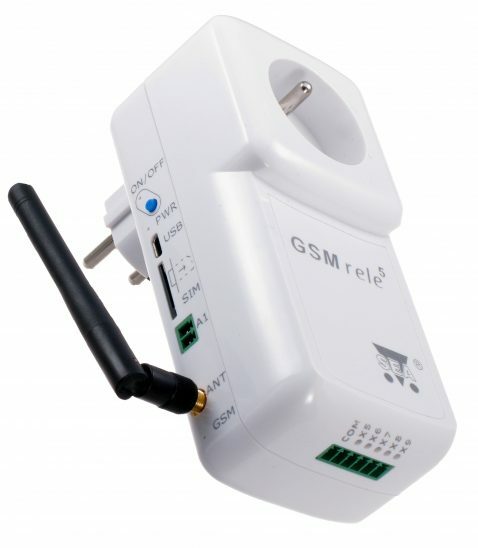 To put the GSM rele5 into operation, just insert the SIM card of any operator. 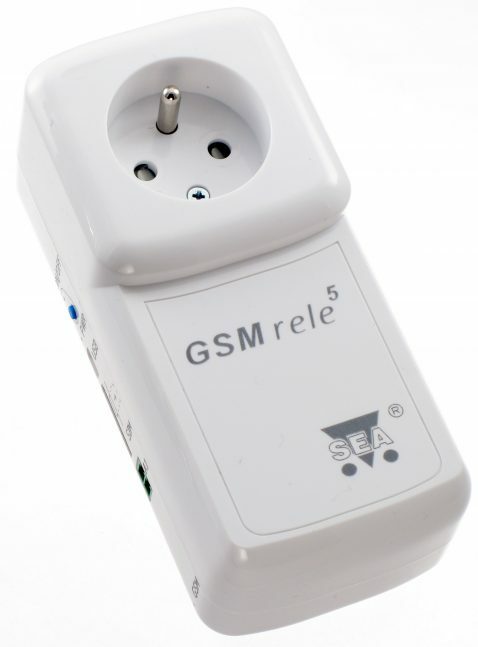 The GSM rele5 is also suitable for RESETing servers, routers or modems. In practice, communication takes place by sending an SMS message in the form “1234 ZAP” (“1234 VYP”, etc. ), where “1234” is your pre-set password, which of course you can change. 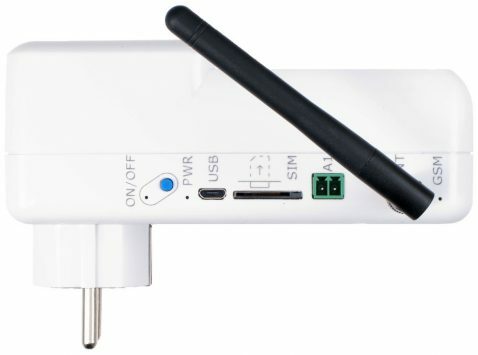 The GSM relay 5 tells you that the instruction has been received. If you do not want this answer, send a message in the form “1234 ZAP ZAP”, meaning “DO NOT send a confirmation message”. 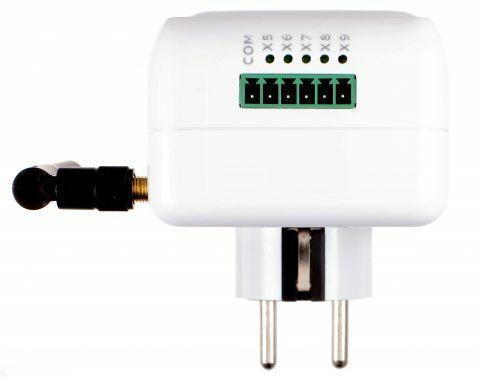 The GSM relay 5 is equipped with an analog input for temperature measurement. The current sensor temperature information is a part of the status message the GSM rele5 sends each time the SMS command is acknowledged or the “1234 STAV” command is requested. 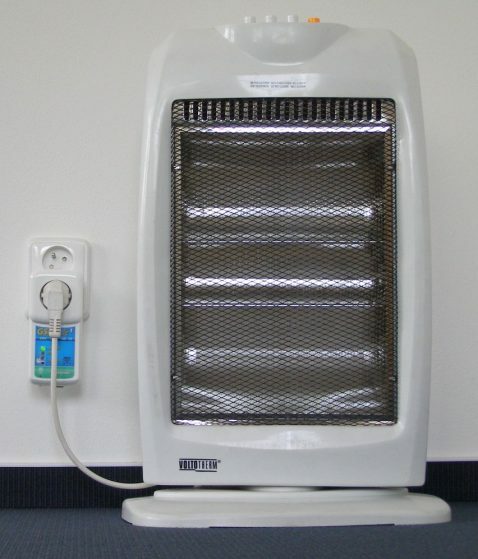 The GSM relay 5 can also regulate room temperature to the desired temperature by switching on and off the connected electrical appliance (such as an oil radiator). Just send an SMS message in the form “1234 TEPL 21” and the GSM rele5 will start to adjust to 21 ° C.
GSM relay is equipped with button. 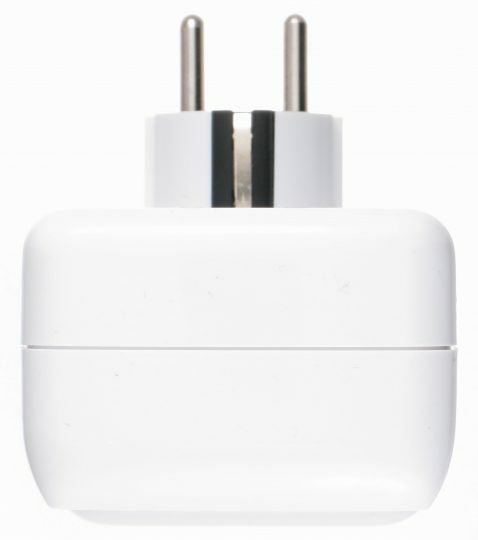 It’s used for changing the state of the outlet ( ON/OFF ). Simple controll – just send an SMS from your mobile phone. The program SeaConfigurator is used for configuration. 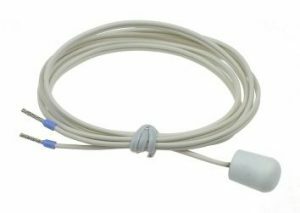 This software for PC provides connection either using USB cable or remotely using GPRS. The software is free to download and without any restrictions. For simple and convenient control and management of the device from GSM applications series we have developed app that is for smartphones with OS Android. This application is for free on Google play and without any restrictions. More information can be found HERE. This app only serves to simplify control. It is not a requirement for operation. If you do not have an Android smartphone, you can control the device via SMS or ringtone. *1) Inputs and outputs are galvanically isolated from the device and between each other. 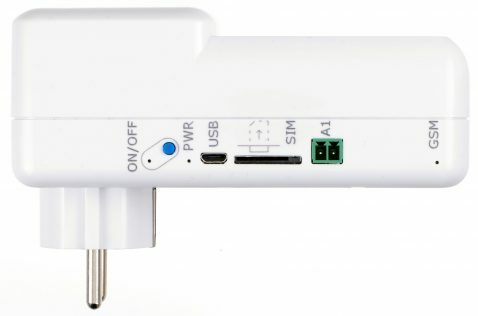 *2) Inputs and outputs are galvanically isolated from the device but have one common terminal. e.g. 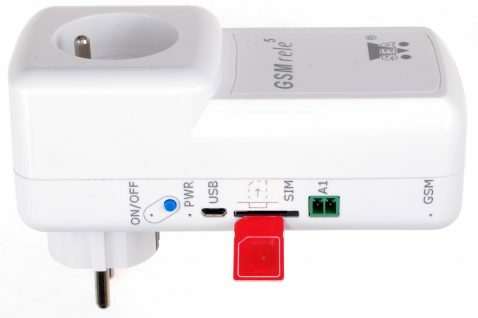 : GSM-R4-DIN with additional relay or contactor.